Paul Thurrott has published pictures of the new Start Button, which he confirms is a feature of the upcoming Windows 8.1, on his Supersite for Windows website. 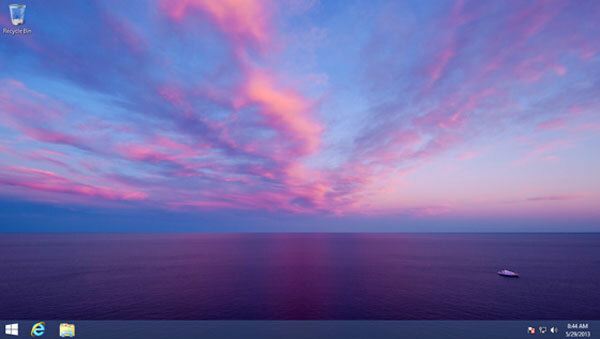 The button looks just like the Start icon in the centre of the Windows 8 charms bar. Also Thurrott informs us that the ‘boot to desktop’ option is available in this latest version of Windows. The first signs that Microsoft would update Windows 8 with a new version, featuring a boot to desktop option and some UI concession to the Start Menu missing hordes, came over a month ago with leaked code showing a “CanSuppressStartScreen” option. A few days after that we heard “sources familiar with Microsoft's plans” say a Start Button would be introduced in the update. At that time the source said the Start Button appearance would be “near-identical” to the Windows flag you can find in the Windows 8 charms bar. Sealing the deal, about three weeks ago, Microsoft’s Tami Reller confirmed that “key aspects” of the Windows 8 operating system were to be changed in the update. Thurrott says that in the Milestone Preview (MP) of Windows 8.1, in which this Start Button features, there is no way to turn it off. The button is a flat white icon, much like “how Start 8 looks”. When you mouse-over the new Start Button the ‘flag’ changes to your ‘accent colour’, highlighted upon a black background. 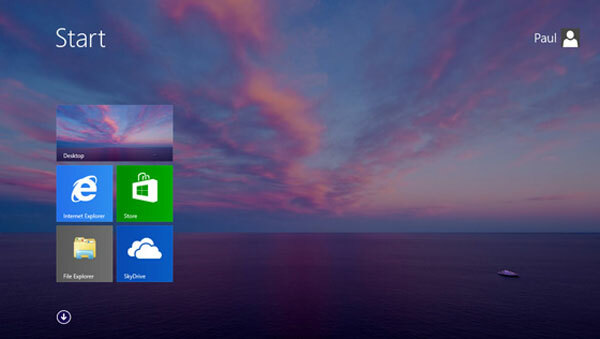 A new option also allows users to use the same desktop wallpaper on the Windows desktop and as the Start Screen background, helping gel the Modern and traditional Windows UIs. Finally Mr Thurrott tells us that the ‘boot to desktop’ option is available in settings. However this option is turned off by default. I think that is the best way round as if you booted to desktop on a fresh new Windows 8 PC it would be an almost empty environment. When I first installed Windows 8 it took me a little time until I had the desktop set up with all my favourite working folders and pinned program shortcuts. Windows 8.1 is still quite a long way off being finished and released. The official preview version will be released near the end of June so people can tinker with it, but it could be another couple of months before the final version is ready to ship. At least current Windows 8 users will be able to upgrade to 8.1 for free. I'm still shocked they removed it from RC1 and then kept it out after every testers outrage just to re-add it later on. And the circular Windows 8 arguments start in 3…2…1…. A charm with start button, a hardware dedicated start button under screen, a windows key on keyboard, and now here comes the fourth button on the traditional way? seriously how many “starts” I need on a convertible ultrabook? Good, now the hates can shut up about missing a start button! I never understood the hate about the removal of the start button especially when if you go bottom left and click its the exact same thing!.